Founder of Health Lab, Jess is a new Mum and career woman kicking serious goals for her brand. Jess started Health Lab almost two years ago now, rolling protein balls in her kitchen and now her products are stocked in over 3,000 stores Australia-wide and exported to seven different countries. Stockists and partners include Nike, David Jones, Virgin Airlines Australia, About Life, IGA's and Fitness First; just to name a few. Jess is experienced in the running a business part, but juggling this with her role as a new mum has certainly created some new and unique challenges. Jess is passionate about the topic of female empowerment and sharing her story with Mums who also have a desire to run their own businesses to give themselves the flexibility to work from home and care for their families. In support of this passion and inspired by her eight month old daughter Gigi, Health Lab also recently launched Fuelling Female Success, which is a not-for-profit schools program aimed at educating our girls on entrepreneurship and inspiring them to dream big and believe they can do whatever they set their mind to. Question: What is Health Lab? Jess Thomas: We are an Australian brand that makes uncomplicated, natural and bloody delicious healthy on-the-go snacks and drinks. Our guilt-free products are designed by busy women, for busy women! Question: What inspired you to create Health Lab? Jess Thomas: It was from a time in my life working in the corporate world with endless meetings, long days and a lot of stress – I suffered from terrible afternoon sugar cravings and often ended up caving into copious amounts of chocolate in the afternoon. I had made a batch of protein balls one Sunday afternoon and the following Monday was a crazy day at work with back-to-back meetings. I ended up bringing out the protein balls at 3pm to share with my rather -hangry' team – and they were a total hit! That was my lightbulb moment…I wanted to create a business that delivered actually healthy but also delicious snacks straight to other busy women just like myself. We created the first protein ball on the market with no added sugar or syrups and a 100% natural ingredients list. Question: Where are your protein balls stocked? 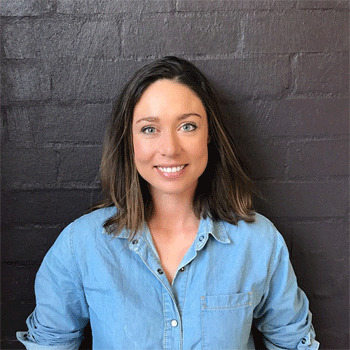 Jess Thomas: Health Lab is a bootstrap start-up and in just two years we now land Health Lab in over 3000 doors across Australia and export to 7 countries. We've been very blessed that our protein balls really catered for a gap in the market for natural, actually healthy snacks with no added sugar and our stockists include Fitness First Network, David Jones, Woolworths, Coles Express, Caltex, Good Life Network, IGA's and About Life Stores to name a few. Question: How do you balance your business and family? Jess Thomas: Whilst Health Lab was thriving, I really struggled with mum-guilt about working while Gigi was so young. But over the last few months I've really come to embrace the fact that I'm a working mum and have given myself permission to enjoy it. I realise now just how much I love working and it makes me a happier mum. I'm not striving for 'traditional" work/life balance, and am really passionate about being a positive role model for Gigi and exposing her to my business life. I work really hard to have non-negotiable time with my family and am really present when I'm with her – phones are away and the TV is off. I'm so thankful for my support network. I'm very close with my Mum, and I have a great husband who is extremely active with Gigi. We've also employed a nanny, which is a solution that works really well in our household and means that both my husband and I are getting what we need in terms of career achievement, rather than one parent missing out. But again, every family is unique so it's important to find what works best for you. Question: What advice do you have for other working Mums? Jess Thomas: There's no such thing as the perfect time or the perfect way. Grant yourself permission to actually enjoy working and being a mum. Let go of unrealistic societal pressures or expectations about what 'motherhood" or 'balance" should look like. Operate as a team! It is a constant juggle and you need to act like a team for it to be able to work. I'm really lucky that my husband was in a position to adjust his day to help look after Gigi. We both take turns exercising in the morning while Gigi is still sleeping. We make sure we agree on the life we want for our family and for our careers and make it happen. But I couldn't have managed it without a supportive partner. Don't feel the pressure to try and do it 'all" by yourself. Don't be afraid to or feel guilty about asking for help from friends or family. Question: What unique challenges have you faced as a new working-Mum? Jess Thomas: Motherhood definitely throws a multitude of challenges at you and hats off to all mums out there! If I had to say one, given I run my own business I didn't get to have any maternity leave. So it was definitely a challenge trying to manage the business and team, on top of learning everything that comes with being a new mum and huge sleep deprivation. Question: What are the benefits of running your own business? Jess Thomas: Running your own business is definitely a rollercoaster. You get some amazing and rewarding -highs' such as landing a great new stockist or bringing really innovative products to the market. You also get complete flexibility, so you can organize work around your life, family commitments and priorities. I also believe that you learn a tremendous amount about yourself and what you are capable of. Question: What is Fuelling Female Success? Jess Thomas: Despite Australia having a thriving start-up culture, less than a quarter of those businesses are started and run by women. And from research one of the main reasons they don't pursue entrepreneurship is from lack of confidence and role models. Once I started researching more, it was clear there is a gap in the careers education, especially in early high school So we founded the Fuelling Female Success Schools program to help support educators in bringing entrepreneurship into the classroom and sparking conversations. We believe that storytelling, role modeling and mentorship has lasting impact and is a fundamental way in which we can trigger change and build momentum to help accelerate female entrepreneurship. Question: What inspired you to begin Fuelling Female Success? Jess Thomas: After having Gigi it gave me a fresh perspective on what type of business I was building and how we were contributing to the next generation. Jess Thomas: We are really excited to be launching a new kids range! The new kids -Bliss Bombs' are 100% natural so that can busy Mummas can banish mum guilt forever when it comes to grabbing packaged snacks that aren't as healthy for our precious bubs as we would like, just because they're convenient. These lunchbox ready snacks tick all the boxes for busy mums and are designed to help Mum's solve their daily 'lunchbox dilemma" of healthy snacks that kids will actually eat and enjoy. The range is launching late April, so Mummas keep an eye out!